Private Hire, Day or Weekend Excursions. We do cater for many other private hire customers, from the small private coach party, through to the W.I and with sports clubs, professional groups and many corporate customers in between! All of them happily travelling to many different tourist attractions, and popular sights and sounds around the U.K. Sorry, but we do not cater for stag/hen do’s, or club nights. Our executive coaches are fully equipped to take you in comfort to whichever venue you choose. If you’ve got a trip in mind, call us today to find out our competitive prices, and travel in confidence with Harrods Coaches. Do you need to transport guests between venues on your special day? 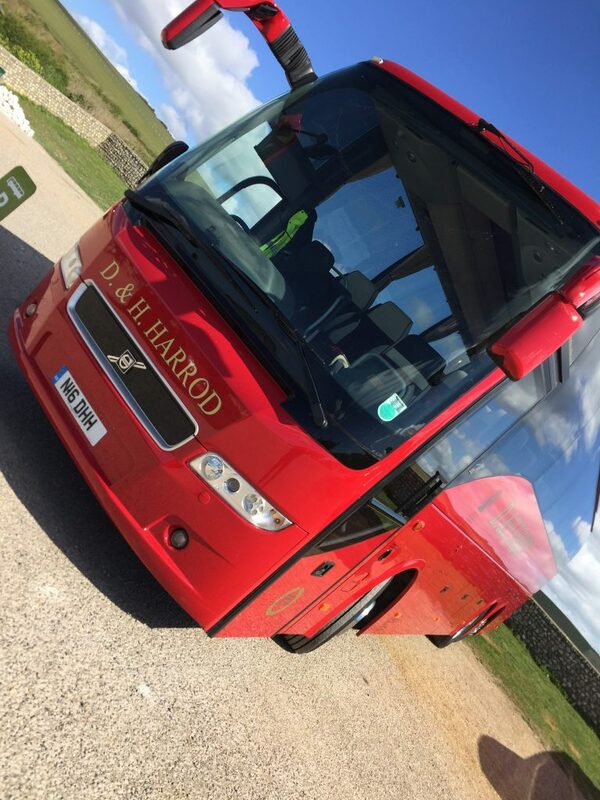 What better way than to rely on Harrods Coaches for a smooth journey. We can decorate any of our executive fleet with wedding flowers and balloons, plus wedding ribbons. To the church, from the church, to the reception and back home?!! Just ask and we will do the rest!